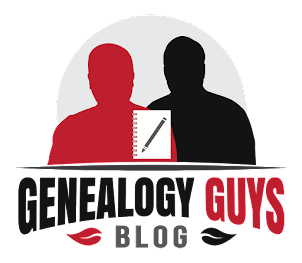 The news about DNA research, its expanding capabilities for genealogy, and the offerings from the DNA test providers continues to be exciting. We received an announcement from Daniel Horowitz of MyHeritage about a new feature for their DNA users — the display of Shared Ancestral Places for DNA Matches. MyHeritage now shows you towns, countries and U.S. states where birth or death events of ancestors took place that appear in your family tree and that you have in common with your DNA Matches. This feature makes their DNA Matching even more useful by helping pinpoint how you and your DNA Matches could be related. You can read all the details about this exciting new facility in the MyHeritage blog at https://blog.myheritage.com/2018/11/shared-ancestral-places-added-to-myheritage-dna-matches/?utm_campaign=Announcement%3A%20MyHeritage%20LIVE%202018&utm_source=hs_email&utm_medium=email&utm_content=67429225&_hsenc=p2ANqtz-9iJJOhhaS9kWSsg13EQSubPy1HurJQq0hcPZq9vu_rSps_cmQXKYv3NykB5BhbZtPpfcruWBkcvMEYfqgdCfOEs9MVpw&_hsmi=67429225. The Shared Ancestral Places screen at MyHeritage.